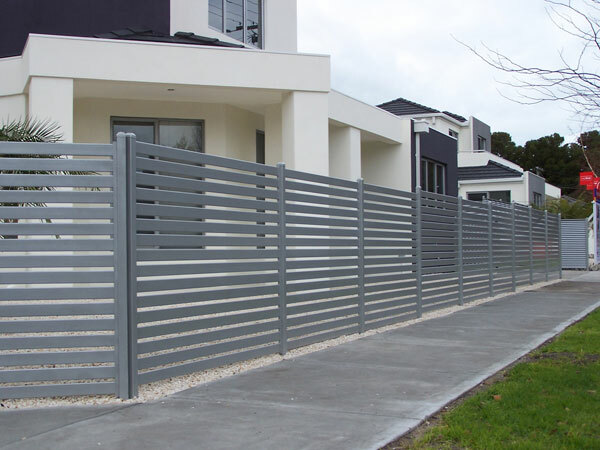 Aluminium fencing has become a popular style, it is modern and looks fantastic. 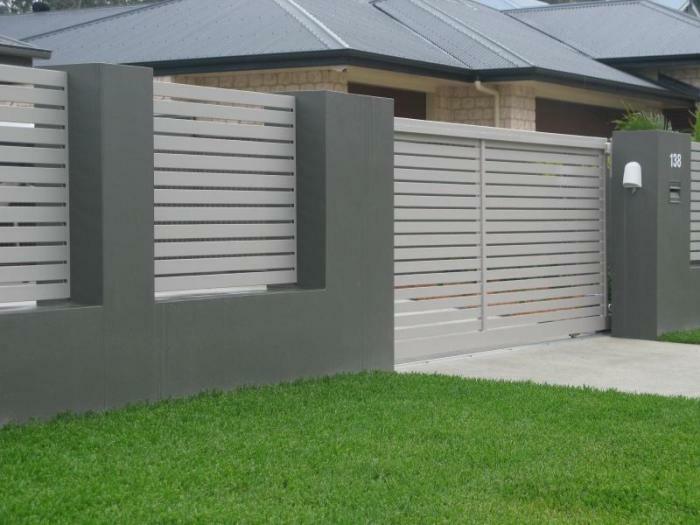 Aluminium panel fencing affords maximum privacy to your home or business, while the soft and stylish shades of the powder coat finishes will provide an elegant and modern look for your property. 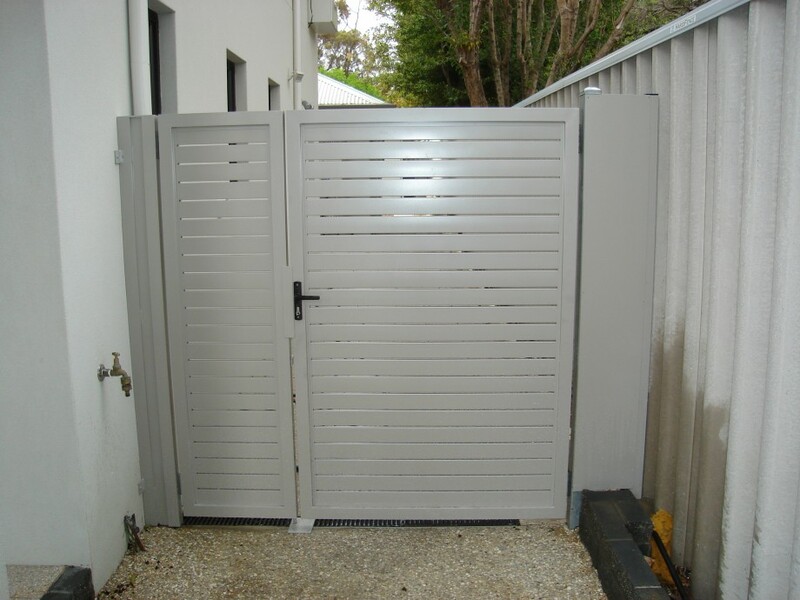 Panel fencing is often suited to the rear of the home, while matching aluminium slat fencing and gates can be used for the front of your property. An aluminium slat fence will not rot, warp or need repainting so aluminium has almost totally replaced timber for slat fencing and gates. 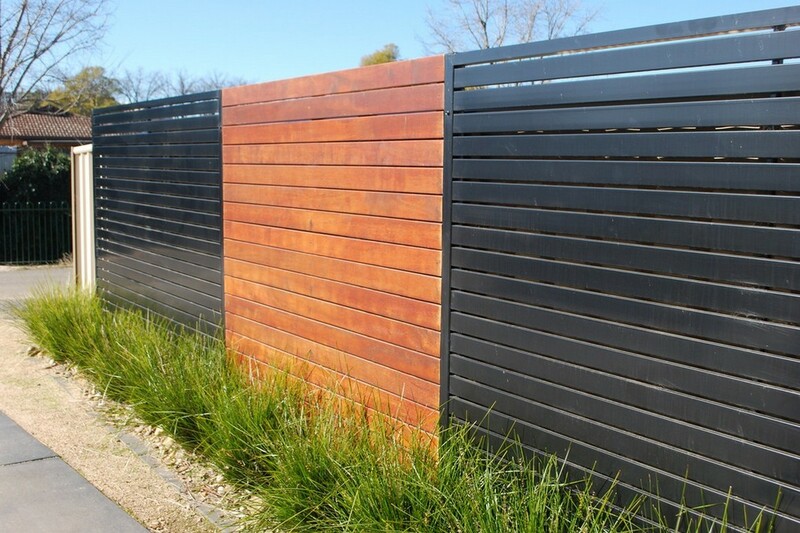 This modern fencing design can be powder-coated in almost any colour to suit your décor and because it won’t corrode, it will continue to look great long into the future. For those who prefer the natural timber look, our Smartwood aluminium slats come in a range of wood varieties and have the look without the maintenance. 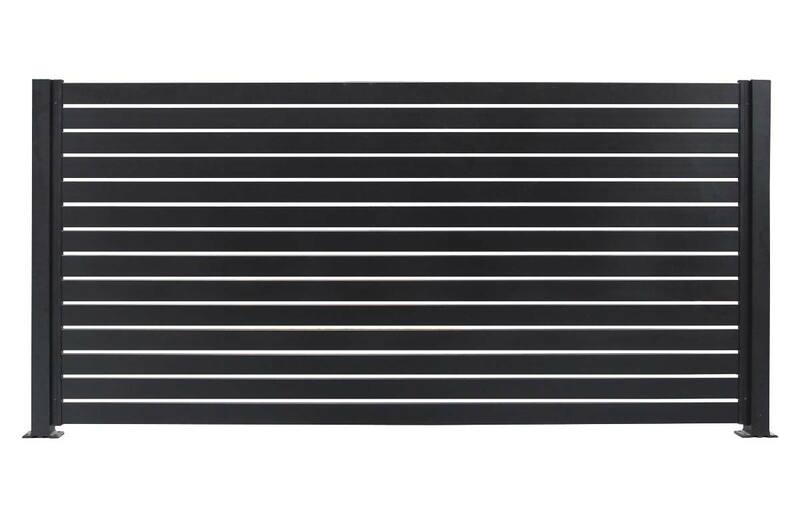 These 16mm thick aluminium slats come in a range of widths – 100mm, 65mm, 35mm, but over 90% of jobs use the more popular 65mm slats. Some Councils specify a gap of 35mm for new installations of front boundary fencing so please check with your local authority prior to commencing. Mulitfencing guarantee the quality of every product we make and install and offer a 24 month warranty against defects.